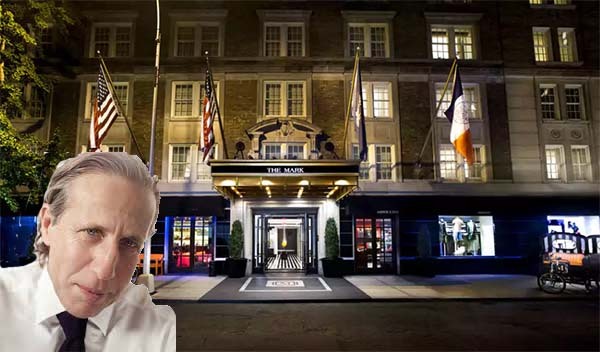 Alexico Group refinanced the Mark Hotel on the Upper East Side with a $230 million loan from JPMorgan Chase, property records filed with the city Friday show, but a source close to the transaction told TRD the total financing volume is $265 million. The new financing includes a $30 million gap mortgage and replaces a $200 million loan from TPG Real Estate Finance. Alexico turned the property at 992-998 Madison Avenue and an adjacent townhouse into a 150-room luxury hotel and 10 co-op apartments in 2009. Last year, Aby Rosen’s RFR Realty bought $60 million in mezzanine debt on the buildings. JPMorgan Chase recently led a syndicate of banks that financed HNA Group’s acquisition of 245 Park Avenue with a $1.75 billion loan.